Dollo Ado, 19 February 2016 – The Somali refugees living in camps in southern Ethiopia used to measure their assets in livestock – camels, cattle and goats – but refugee camps do not offer much space to herd or trade animals. Since fleeing conflict and drought and losing their livestock on the way, many refugees have been reliant on humanitarian agencies in five camps housing more than 200,000 refugees. With loss also came dreams for a new life, goals to learn new skills in order to provide for their families in different ways. In Melkadida camp, JRS offers beginner and intermediate courses in employable skills for adults seeking new opportunities. 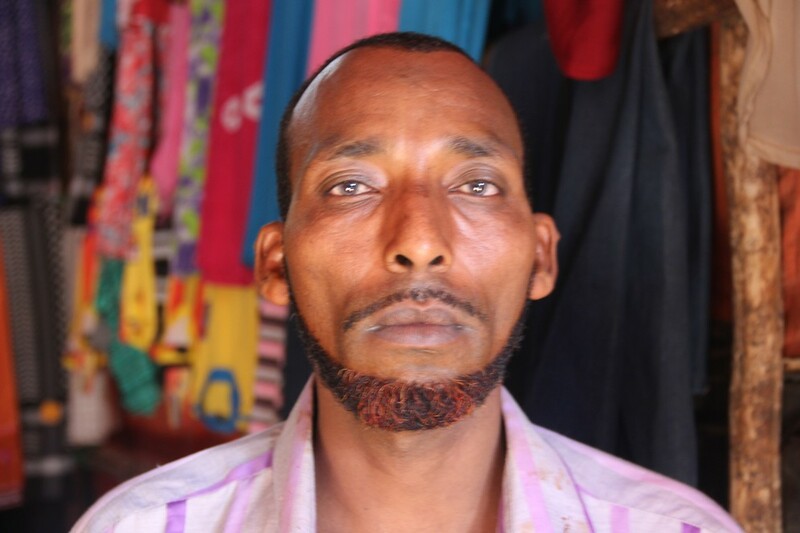 Displaced Somalis learn technical skills in tailoring, henna tattooing, embroidery, male hair dressing and plumbing. The classes strive to provide students with the tools to become more self-sufficient and an opportunity to learn basic literacy and numeracy skills. Somali refugees learn plumbing skills as part of the JRS livelihoods project in Melkadida refugee camp. Some graduates have gone on to work for NGOs or businesses in the community (Angela Wells/Jesuit Refugee Service). 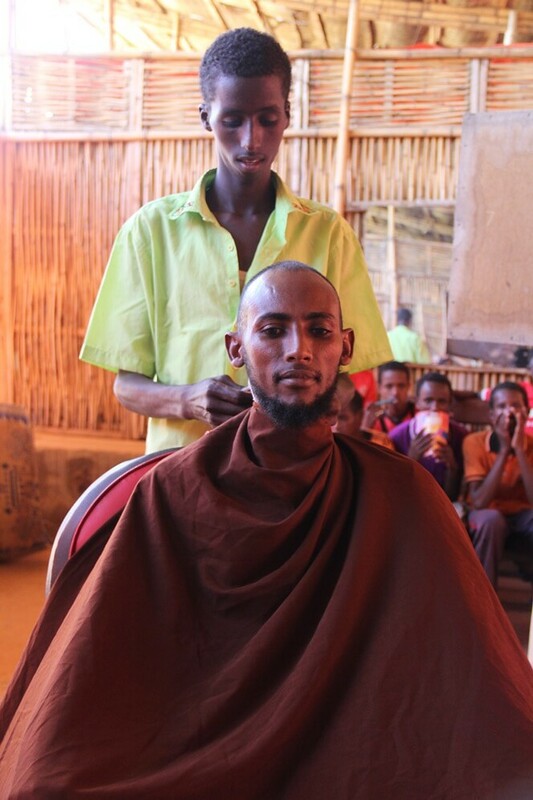 Somali refugees learn male barber skills as part of the JRS livelihoods project in Melkadida refugee camp (Angela Wells/Jesuit Refugee Service). 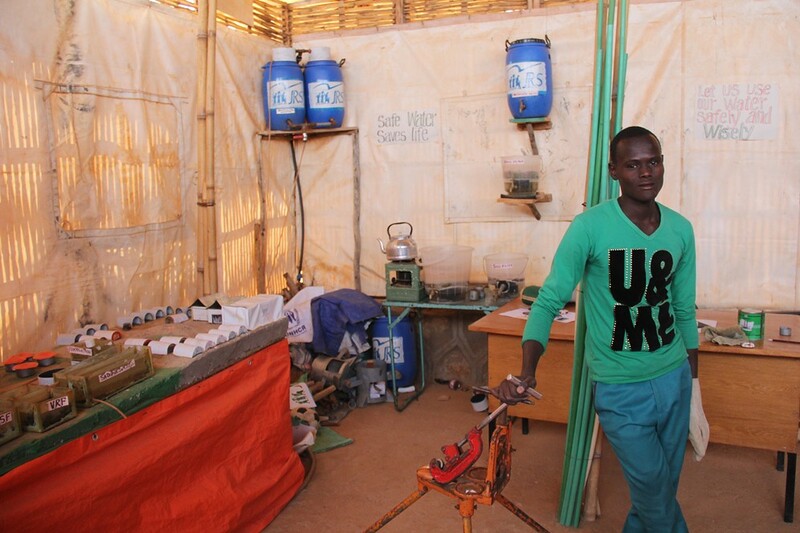 Mohamed Nour Mohamed opened his own shop in Melkadida refugee camp after completing the JRS tailoring course. With his income he can provide for his three children and wife. He plans to expand his business with the profits from his business. 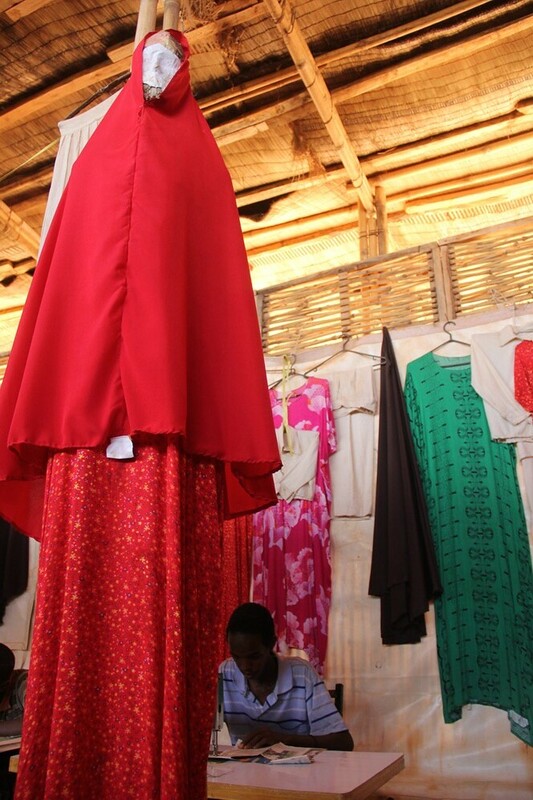 "I came here five years ago with no experience in tailoring but I wanted to develop myself and build my future," he said (Angela Wells/Jesuit Refugee Service). Opportunities to learn skills like tailoring help sustain life in remote refugee camps in areas like southern Ethiopia where growing food is difficult in harsh climates, food rations are limited as are opportunities to gain employment or capital to buy clothing and other goods. "We aren’t handed everything here. Food rations are not enough to feed our families. We need money to buy extra food, clothes and school expenses. Life is more expensive here in the camp than in Somalia. We hope each person will get be able to earn their own income eventually," said Duale Ali Ibrahim, the eldest member of the tailoring cooperative (Angela Wells/Jesuit Refugee Service).